Working closely with Moebius Production in France, Dark Horse presents the final part of Moebius's Inside Moebius series. 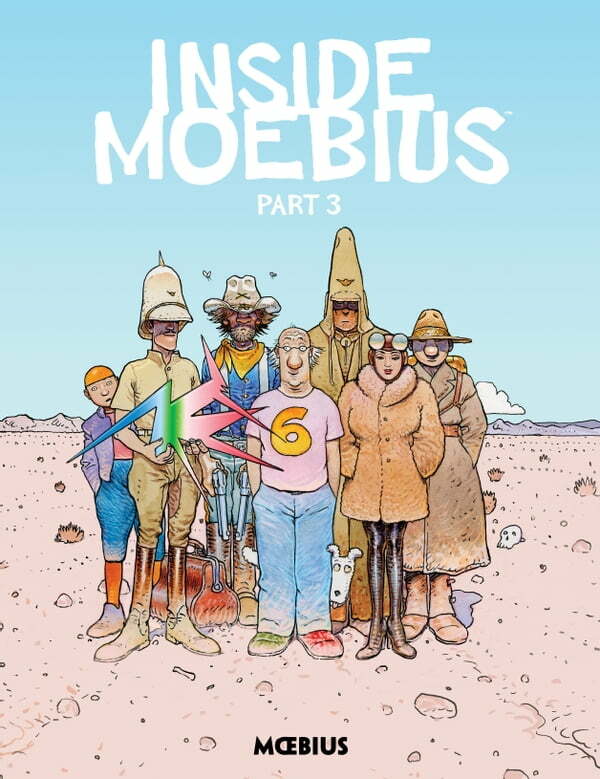 In this third and most surreal volume, Jean "Moebius" Giraud exists in an expansive, magical desert locale within his subconscious. He not only meets and talks with several of his own creations--like Stel, Blueberry, Major Grubert, and Arzak--but he encounters versions of himself from multiple decades and argues with them about art and creativity. This final volume also features the last interview segment about this strange series between the artist and Isabelle Giraud. Translation by World of Edena translator Diana Schutz.